Music is a fun way to pass the time in The Lord of The Rings Online, or LOTRO. If you're waiting for a guild mate to come back from making a sandwich so the rest of you can finish off a big boss, or you're just hanging out in one of the towns waiting to decide what areas you're going to quest in, it never hurts to break out an instrument and start rocking out. First, then, you'll need an instrument, and you'll need to know how to play it. If you play the minstrel class, you'll be able to play any instrument. Every other class has at least one or two instruments they can play by default. Check which instrument(s) your specific class can play by opening your skill panel and looking under passive skills for "[instrument] proficiency." If you'd rather play something your class doesn't know how to play, you can learn that proficiency in one of two ways. 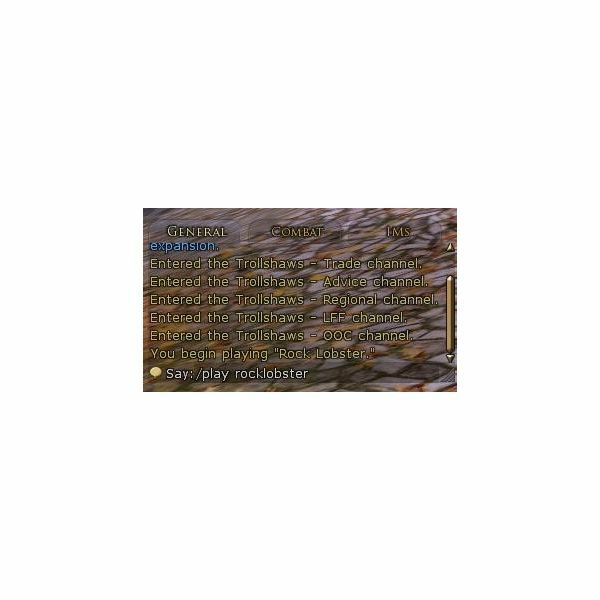 You can either find another minstrel player to train you directly, or you can read an instructional manual crafted by a minstrel, which you can usually find for sale in the game's auction house. Once your character understands the instrument you want to play, you can by the instrument from a bard npc, which you'll be able to find in nearly most of the game's major towns. Keep in mind that the instrument equips to your ranged weapon slot, replacing whatever else was there, so unless you are a minstrel, you're going to want to unequip it and re-equip your weapon before you head back into battle. At any rate, equip the instrument when you're ready to play some tunes, and type /music. You're now in music mode and ready to play! Just because you've got an instrument in your hands and you're in music mode, it doesn't mean you're going to immediately be able to craft symphonies. Here's how the LOTRO music system works: The game supports 37 musical notes. By default, only 24 of those notes are keymapped, and can be played by pressing the number keys 1-8, and then by pressing those same number keys while holding either Shift or Ctrl to change the octave. You can map musical notes to any keys you wish by going into your "keymapping" menu in your options and setting the keys you want to bind each note to. Don't worry; any keymapping set for music is only in effect while playing music. As soon as you put away your instrument, those same keys will respond to their primary "combat mode" keymapping, so don't be afraid to re-use keys that are set to some of your important skills. Once you've got the keymapping set in a way that suits you, feel free to experiment and see what you can come up with. If you've got an ear for music, maybe you'll be able to create some great sounding notes. If you're more like me and the idea of understanding musical notes well enough to compose anything is both confusing and a little bit frightening, however, don't despair. The game also supports a type of file called an "abc file," which is an ascii-based musical notation. You can download abc files from the web and save them to a folder named "Music" in your LOTRO directory (the folder named "The Lord of the Rings Online" in your documents) and you can play them in game by typing "/play [filename]" once in music mode. You can also type /playlist to display a list of all your saved abc files. If you don't already have a "Music" folder, you'll need to create one. Just make sure you name it exactly that or the game won't recognize the files. This site has a great selection in an easy to navigate alphabetical list. It does insist on auto-loading a music player when you first visit the site, which I'd like to think is something web developers are past doing by 2011, but the player is at least at the top of the page and easy to pause, and the selection of files here is quite good. This is the real gold standard for abc files. First of all, the selection on this site dwarfs what you'll find on any other site. It almost dwarfs what you'll find on every other site combined. Secondly, and more importantly, it has many multiple part songs. Any song with multiple parts will say as much in the song file. Each part will be labeled with an instrument. The song is meant to be downloaded in portions and distributed among a group of players to play, each playing a specific instrumental portion of the song. You can download a combined version of all parts and play that yourself if you wish, and it will just play every part on whatever instrument you have equipped, but a full band playing synchronized really makes the music come together and sound really strong. 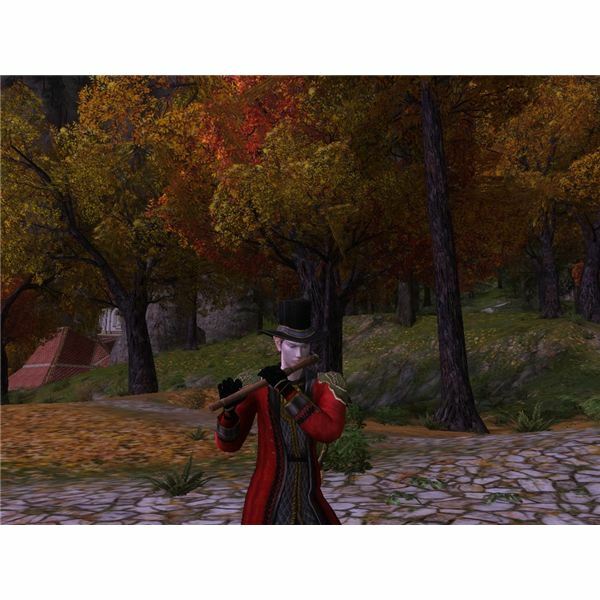 Whether you choose to play manually or by using abc files, music in LOTRO can be a lot of fun, so get yourself an instrument, and enjoy! Source and Images: Author's own experience.